Eventually I was approved for Citi AA Business Card and the Chase SW Personal. I was outright denied on the Barclay Arrival and I am still waiting approval on SW Business. In the process, I did learn a few things that I wanted to share. For Barclay’s cards cancel at least 30 days prior application for new card. Second, Chase can be hit or miss in dealing with them. I did get an email about two weeks after my churn approving the personal card. However, the week prior I got a denial on the business card. So I called their recon line. Or at least I attempted to, because I kept getting an automated voice message saying the office was closed. I called 3 or 4 times during various days and times and did not get an answer. I eventually called at 5:00 AM PST and got an answer. It was not a fun call. Here is a sample of a couple questions I was asked. Ok, so I got asked about a card that I'm an authorized user on that was opened a year ago…back on hold. "I see you've had 6 credit cards in 6 months why?" Oh come on I know people with way more! Wait with Chase, don’t call recon line. Consider lowering credit limits on existing Chase cards prior to applications to improve odds of instant approval. If you have to call have good reason for all the cards you have recently applied for. Cancel or lower credit limits with Citi prior to applications. This last lesson is actually something that I’ve known, I just forgot to do it. I also think it is something that is a good habit to get into prior to applying for any additional cards with a bank. My experience is that most banks are looking at the total credit line they have already extended to you. If you are at the max, then you will not get an instant approval and a phone call may be in order to get the approval done. Lowering your credit line can help ease the process a bit. In the end this could still end up being a really successful churn if the SW business card gets approved. If not, oh well, live and learn. The hobby is constantly evolving and so must we. 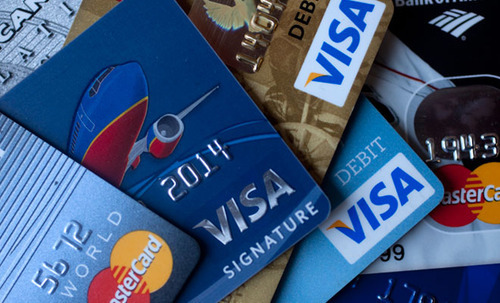 Be the first to comment on "Lessons Learned From Least Successful Credit Card Churn Ever"